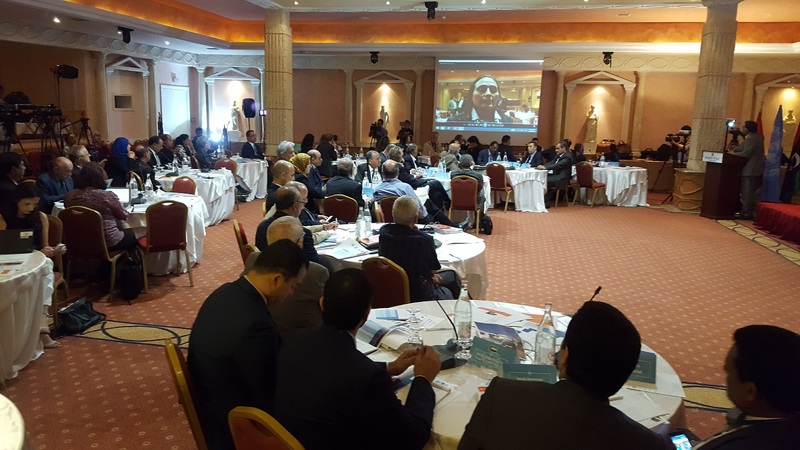 The 4th Libya Experts Forum in Tunis felt that the PC/GNA has failed to dominate militias in order to gain make progress (Photo: Sami Zaptia). The Faiez Serraj-led Presidency Council/Government of National Accord (PC/GNA) has failed to make any real progress since March because it depends on specific militias in Western Libya for its survival. As a result of this dependency, it has failed to tackle head-on the issue of creating a unified national army under civilian control. This was the view of one of the leading members of the UN-sponsored Libya Experts Forum, Zahi Mogherbi, in Tunis last week during a session on Libyan Security Sector Reform (SSR). The Forum aims to act as a think-tank and advisory body to any Libyan PC/GNA, and one of the areas it plans to present some policy papers on is Libyan Security Sector Reform. 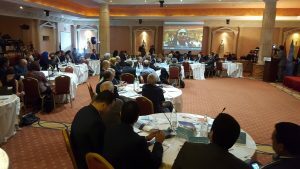 The event was attended by a number of leading Libyan academics, experts, former ministers, Central Bank of Libya Board members and activists. It was also attended by Taher Jehaimi, the PC/GNA’s nominated Planning Minister who was a former Minister of Planning and Governor of the Central Bank of Libya in the Qaddafi era. Jehaimi had made the keynote speech at the opening of the Tunis event. In an intervention at the Forum, Mogherbi had said that ‘‘There are differences in priorities in SSR between what Libyans want and what the international community wants – especially after UNSMIL head Martin Kobler’s comments (which he subsequently retracted) that Libya should decriminalize illegal migration’’. The implication in Mogherbi’s statement is that the international community prioritize fighting ISIS and illegal migration rather than other security sector issues such as general insecurity, kidnapping, high crime, militia control and interference in Libyan society and life in general. ‘‘The PC/GNA has no real authority on the ground in order to be able to implement any policies. This, therefore, makes implementing any SSR even more challenging’, he added’. ‘‘The PC/GNA’s lack of consensus has already eroded its legitimacy within the year (since its physical arrival at the Bu Sitta Naval Base in Tripoli on 30 March 2016). It is over dependent on its international recognition and legitimacy and ignoring its internal recognition and legitimacy’’. Mogherbi, who lives in Benghazi, was referring here to the fact that the GNA has yet to receive a vote of approval from the House of Representatives in Tobruk which has handicapped the GNA and Libya, preventing the GNA from moving forward with the full support of the whole of Libya. He was also referring to the fact that the PC itself was until recently divided with the two representatives for Benghazi and Zintan boycotting its proceedings. The PC/GNA was founded under the UN-brokered Libya Political Agreement (LPA) signed in Morocco in December 2015 and backed by a UNSC Resolution. ‘‘The PC/GNA has also succeeded in legitimizing the militias that it relies on in Tripoli and in its war against ISIS in Sirte but without showing any desire to integrate or control these militias into a unified national army loyal to civilian control’’. ‘‘The PC/GNA should start to impose their will and legitimacy over the militias at least in key state institutions in order that the model can be reproduced later across the country. The PC/GNA failure in SSR and its dependency on specific militias in Western Libya has contributed further to Libya’s polarization and to the failure of the PC/GNA itself’’, concluded Emeritus Professor Mogherbi. Zahi Mogherbi lives in Benghazi and is a founding member of the UN-supported Libyan Experts Development Cooperation Forum. The Forum is a think-tank and advisory body to the Libyan Presidency Council / Government of National Accord. Mogherbi is Professor Emeritus of Political Science at the Department of Political Science, University of Benghazi with diverse research interests in both Arabic and English on political culture and public policy, democratization, civil society and the theories of comparative politics and methodology of political research.